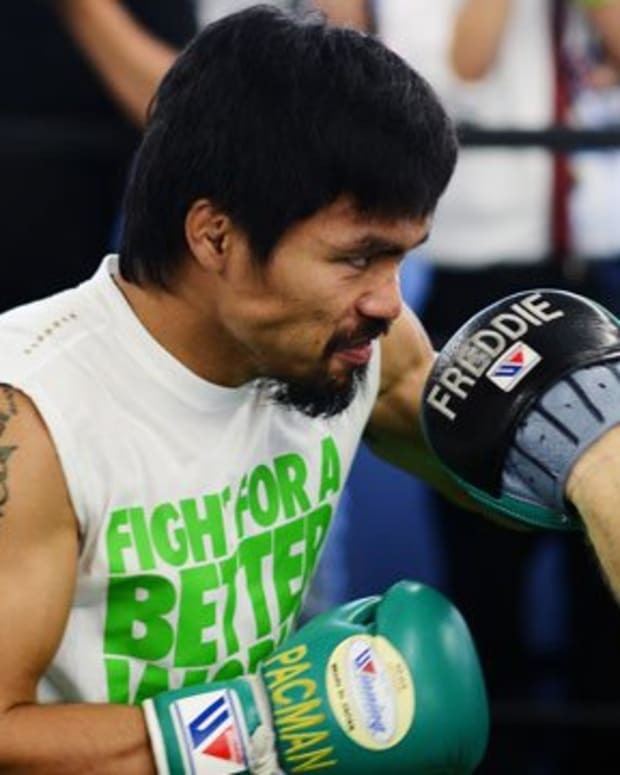 Manny Pacquiao seems to view his upcoming showdown against Brandon Rios as more of a formality than legitimate challenge, and it’s sort of understandable that he would have that view. The odds makers installed him as a favorite from the getgo, all of the media hoopla surrounding this matchup has been more about what will happen after the fight than during it, and Rios’ inability to draw headlines has left writers without anything particularly interesting to write about. Everyone, starting with the fans and ending with Pacquiao, is more curious about what 2014 holds for the Filipino star than what he’ll do in 2013. 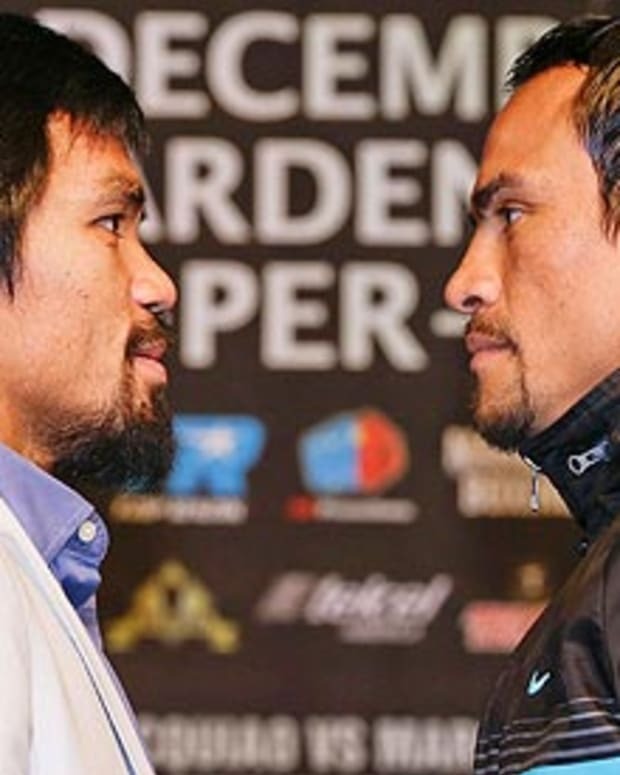 This week, Pacquiao did an interview in which he was asked to comment on Saturday’s showdown between Timothy Bradley and Juan Manuel Marquez. Relishing the opportunity to take a shot at a guy who ducked him for all of this year, Pacquiao insisted he knew all along that Bradley would beat Marquez. In his mind, there were no questions about who the better man was and is. Mind you, this is funny on several fronts. First of all, Pacquiao beat Bradley. 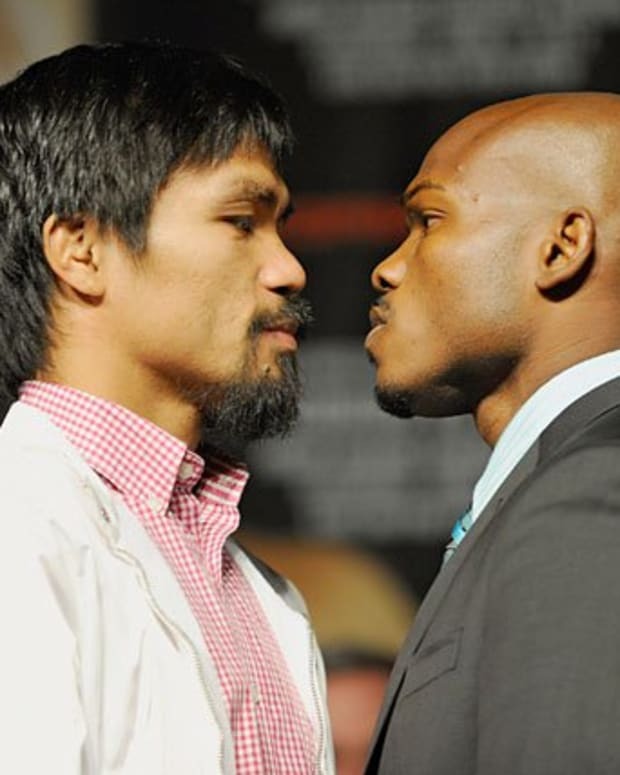 Whether the final record reflects it or not, when he took on Bradley, he was clearly the winner. 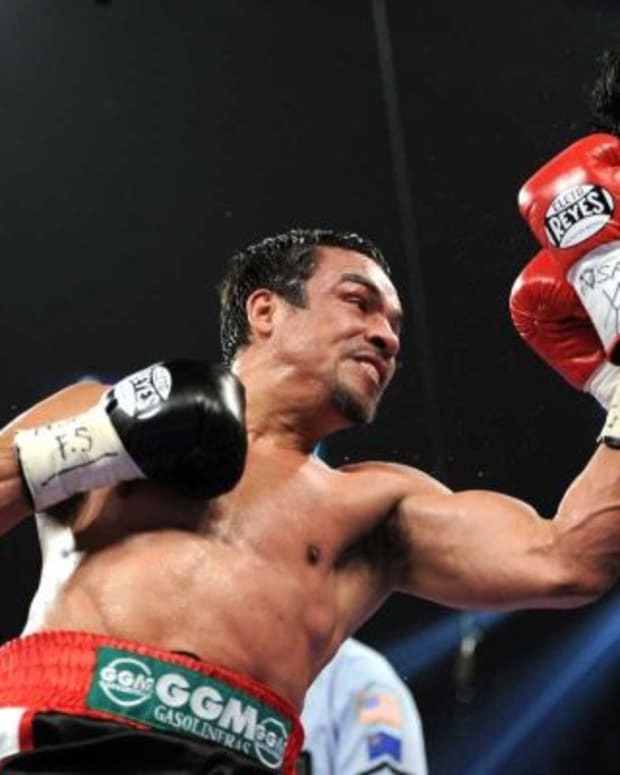 Conversely, Marquez destroyed Pacquiao with a knockout punch that people are still talking about. That means heading into last weekend, Pacquiao believed that a guy who he thoroughly beat up was better than a guy who beat him up. Is anyone really buying that? The reason why Pacquiao can get away with that sort of comment, though, is because Marquez has spent all year ducking him. Make no mistake about it: when you turn down massive payday for one of the most highly-anticipated fights of the year to fight for half the money in a bout that nobody outside of true, blue boxing fans cares about, you’re doing it because you’re ducking someone. 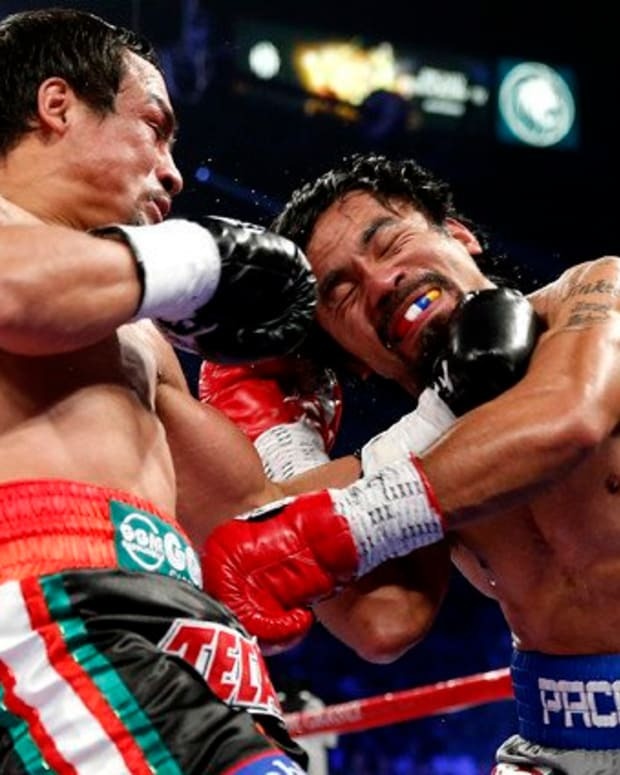 Marquez ducked Pacquiao, plain and simple. And because he ducked Pacquiao, the Filipino star can take as many shots as he wants at Marquez and nobody is going to feel all that bad for him. Pacquiao, for his part, seems content with the fact that he will most likely have to fight Bradley again in 2014 – presuming he gets past Rios. Unless Marquez decides to save us all from that rematch, that fight seems inevitable.